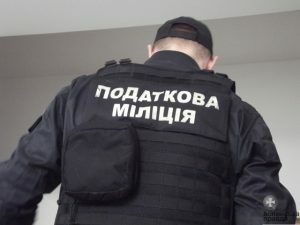 Do you believe that a fine of 320,000 hryvnias for preventing checks in an enterprise on the one hand and a fine of 510 hryvnias for unauthorized use of mineral resources on the other hand are commonsense? Well, Prime Minister Hroisman believes they are, because he is standing for such sanctions. Today the mineral resources of Ukraine are making Mykola Zlochevskyi, Viktor Pinchuk, Nestor Shufrych, Yuriy Ivaniushchenko, Vadym Novynskyi, and Rinat Akhmetov richer. These tycoons have privatized and are using most of the Ukrainian land assets. That means that for illegal usage of the land, illegal oil and gas production, deforestation, construction of mansions in the protected areas, and generally for the possibility of defrauding the state of billions of hryvnias oligarchs will have to pay a fine of 510 hryvnias. At the same time, an owner of a small sewing accessories shop will have to pay 320,000 hryvnias in case of preventing a check launched at contrived pretext aimed at counting the employees. Volodymyr Hroisman came up with such wild punitive initiatives. These regulations are going to destroy Ukrainian employers who are already barely protected by the law. It is said that the aim of introducing these fines is to bring wages out of the shadow economy. However, it is clear that this is another way to replenish the budget at the expense of people who are trying to have a more or less decent life by opening their own business. Small and medium-sized businesses have already reacted to the “Hroisman’s laws”. On the Internet, one may find a lot of legal and not so legal tips on how to circumvent the new government’s harassment. Some advise to sign civil law contracts with all employees and to cancel registration; and everybody emphasizes that it is very dangerous to have any property on the books. Obviously, people have no more confidence in the government, so it is clear that no business unshadowing is going to happen now. This scenario was quite expected. 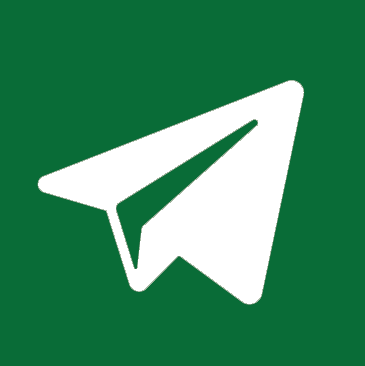 But the main result of such innovations is the termination of activity of small enterprises and entrepreneurs. Only in the first month of 2017, 156,000 individual entrepreneurs stopped their activities. Meanwhile, business unshadowing is vital. After all, there cannot be a strong state without taxes. However, the government’s proposal to carry out unshadowing of the small and medium-sized business without touching the oligarchic one looks at least unfair, absurd and biased. 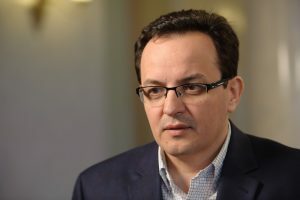 Unless there are equal conditions for competition, there will be no business in Ukraine – either small, medium or large. And this should be done at the official level. The conditions for conducting business should be equal for both tycoons and owners of small or medium sized businesses. Therefore, under the editorship of the parliamentary group a bill #6087 “On Amendments to certain legislative acts of Ukraine regarding improving the procedure of state supervision over the compliance with the labor legislation and the responsibility for violations in this area” was registered. From the perspective of figures, this legislative initiative provides for significantly reduced penalties for entrepreneurs. Some articles of the bill suggest reducing the fines from 96,000 to 8,000 hryvnias, and so on at all points. 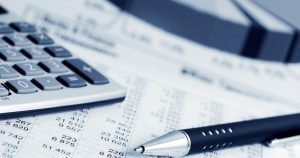 The notorious fine in the amount of 320,000 hryvnias for preventing an audit at an enterprise should be substituted with a fine ranging from 1,600 to 4,800 hryvnias. Ukrainian business is in such conditions that the relationship between employer and employee, which is based solely on mutual trust, has no firm guarantees. Therefore, imposing severe penalties onto the business, as it is offered by the Prime Minister, means that small and medium-sized enterprises would have to close down, while their employees would lose their jobs. The very fact that for violations in the sphere of labor the authorities have set much higher fines than for violations endangering the lives and health of people seems unjustified. For example, for breakers of building codes and health legislation fines are impossibly small. Thus, the penalty for preventing checks at a construction site is 16,000 hryvnias, and for the prevention of food safety inspection the fine will make up a maximum of 48,000 hryvnias. That means that a fine for unemployed workers exceeds the fine for preventing checks at a construction site, while the latter can lead to a violation of building codes and become a threat to people’s lives. Reduction of fines is not the only initiative provided for by the bill. It also proposes to determine the reasons for unscheduled inspections and the conditions under which an employer may not let the inspection take place, because it is necessary to prevent the following factors: officials must not attend enterprises in order to collect tribute, and unscrupulous competitors must not destroy competition by “tipping off” inspections. Hroisman suggests letting local “princelings” legally destroy their political opponents by putting pressure on their business or the business that supports them. The proposed initiative will, in its turn, exclude the local authorities from the list of subjects of audits. What does it mean? Today, local government officials have the opportunity to conduct an unreasonable check at any enterprise. This bill does not provide for such a possibility, because these will be inspectors of the State Labour Service who will now conduct audits at enterprises, and they will be the only one to make decisions about engaging local government officials. At this moment it is important not only to reduce the size of penalties but also to clearly regulate the inspection procedures. In our corrupt country an unclear procedure is a chance for bribery, extortion and blackmail. That is why the registered bill mainly focuses on the clarity and transparency of the procedures – in order to strip dishonest officials of any chances for taking advantage of any vagueness in the law. Democratic state is impossible without the middle class, because it is the middle class that is the customer of democracy. The Parliament must protect small and medium businesses, because the oligarchic structures do not need protection in the first place!